Flexicare’s market-leading meatal dilators are designed to ease through strictures. Available in a choice of 2 tips, with a hydrophilic coating to ease insertion. Our meatal dilators are available in Standard and Tapered tip. 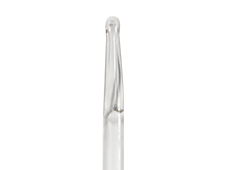 Our Meatal Dilators have a hydrophilic coating to ease insertion. Simply fill the dilator sleeve with water then wait 30 seconds for hydrophilic coating to activate.